It is natural to feel a range of emotions when a loved one passes. If you have also just inherited a property, you may be feeling confused and anxious. Now in the midst of mourning the loss of your loved one, and possibly settling their estate, you are responsible for a tenant or multiple tenants. Luckily, as stressful as this situation may feel, we can offer some guidance to help you with your inherited property. First, what is in the will? If the beneficiary of the property is clearly defined, this is a great first step. 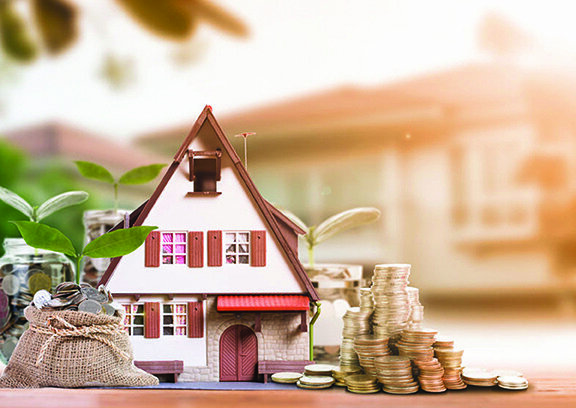 When the heir to the property is clearly known, that individual can take steps to determine whether they want to manage the property, hand it off to a property manager, or sell the property. Several other scenarios can leave the waters muddied; when there is no will, or if the assets have been left to more than one person, or if the will is being contested, the situation becomes more complicated. At that point, a lawyer will need to be involved. Be sure to use a professional, and not a real estate estimator site such as zillow.com, to assess the property’s value. Know that if you do plan to sell the property, the heir uses a stepped-up basis based on the date of death for tax purposes. Thus, you will probably owe little to no capital gains taxes on the sale if you turn it over relatively quickly. Work with a professional to establish the value and your tax liability. Is there a binding lease involved? If there is a tenant in the property under a current, active lease agreement, in most cases the tenant has a legal right to remain through the end of the leased term. There may be an option to terminate the lease within the lease agreement, or the tenant may be amenable to mutually agreeing to ending the tenancy. If there is no lease, consult with your lawyer about next steps. If you plan to continue to rent the unit, you may wish to continue the tenancy with the current renter. The lease will tell you the other important terms that the tenant and your benefactor agreed to, especially regarding the rent. You’ll want to know how much rent to collect, when and how the rent must be paid, and what late fees can be imposed. This is also a good time to examine the rent amount being charged to see if it is up to market value and whether you would like to increase it. As always, check with your legal counsel to be sure this is not restricted, especially in rent-controlled areas. Be familiar with the entire lease, to ensure the tenant does not to take advantage of the transfer of ownership to bring in an unauthorized occupant or pet, or to park more vehicles on the property than they are allowed. Do you want to rent or sell the inherited property? Knowing these key financial details will give you an idea of the lay of the land if you sell or if you rent. 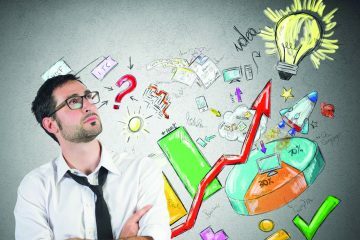 Of course, the financial situation of the property is only one piece of the equation. If you attach sentimental value to the property, but do not wish to live there, perhaps renting it out will enable you to keep it. As a landlord, you could manage the property yourself or hire a property manager to do the heavy lifting for you. 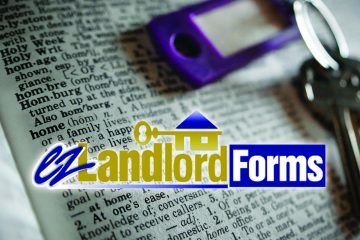 Use the resources like those found in the articles and the Q&A Forum at ezLandlordForms.com to find out more about being a landlord. Rely on other professionals such as a realtor, lawyer, and CPA to fill you in on the specifics of the situation. Knowledge will be your best tool when you inherit a property that is, was, or could become, a rental property.